Trying to find fun and engaging toys for my 3 year old in the bath tub is getting harder and harder. We recently discovered Bath Time Crayons made by Nuby and I was a little skeptical at first. My first thoughts, would the crayon come off the bath tub? I read a bunch of reviews and decided that I was going to test it out on my own and hope that my daughter liked them. She recently has began loving being artistic by drawing and crafting, these were right up her alley. I brought the crayons out for bath time and it was definitely a success. 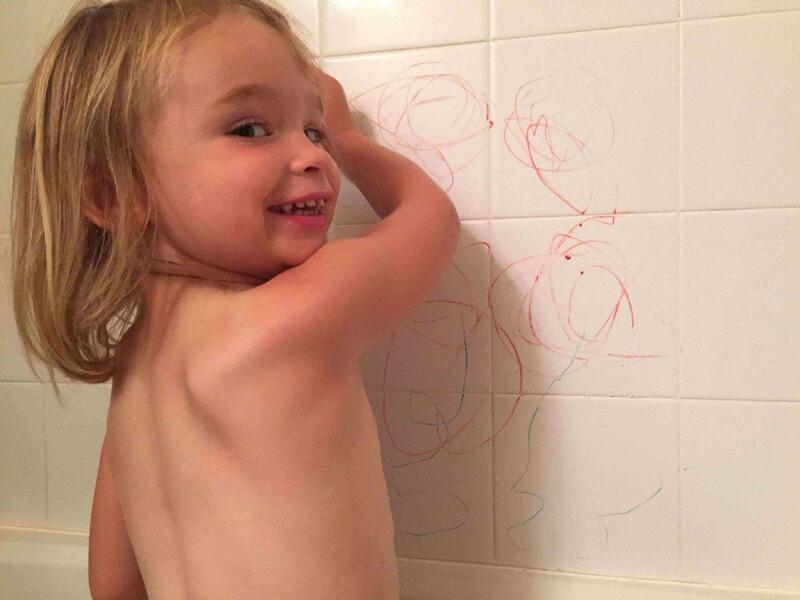 She was drawing all over the walls and the bath tub, as I am freaking out, and she is loving it. We are talking about what she is drawing and why she is drawing it. What good conversations that were coming out of that bath tub! It was a great bonding time. Who would have thought bonding can take place during bath time when it is usually a some what stressful time. 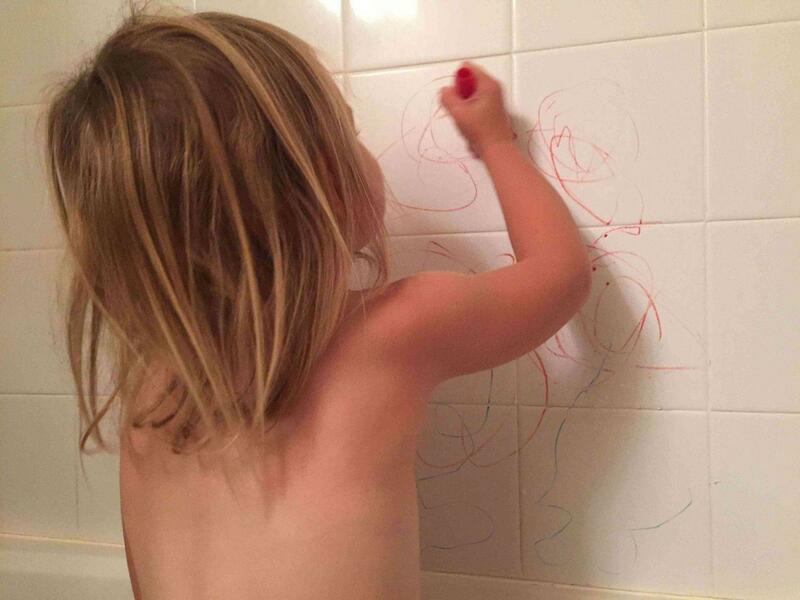 Now as a neurotic mom, my big question was, does it wash off my clean walls!? 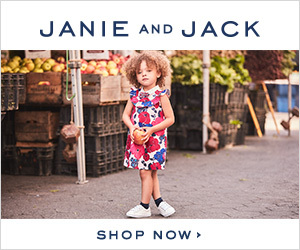 The answer, other neurotic moms, is yes. Thank goodness! My daughter was able to wash it off with a wash cloth and it disappeared. Phew! Mommy win all around! Daughter loves the toy and bath time? Check. She can clean it off the walls easily? Check. 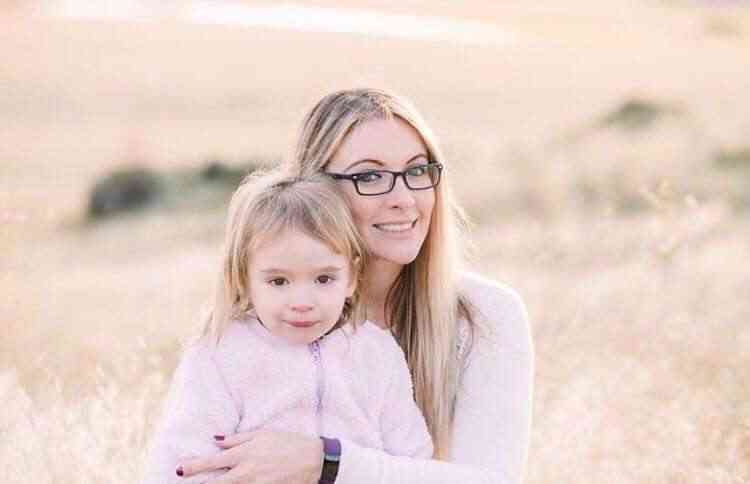 Mommy can relax and keep her sanity? Check. The bath time crayons are for 3 years and older. The crayons have a plastic holder around each crayon making them easy to hold and easy to adjust the length. They are also BPA free. After seeing them in action, I would highly recommend the bath time crayons if you are looking for some new fun toys to bring into your bath time routine! These look like fun. My daughter would probably enjoy them too! My family LOVES these!!! They are so easy to clean off once they are done making their art! Yesss!!! What a great invention! I had never heard of bath crayons. They sounds pretty awesome and a great way to make bathtime easier! What a fun idea! My little one would surely looks these as these loves to play during bath time! Yes they’re super fun ! I’ve seen these around but never actually tried them! I’m sure my kids would love it! It would make bath time so much more appealing for both my boys! Yes that was me too. They’re super fun ! These look so fun. My kiddos would love them.